I pieced it and quilted it a LONG time ago! Where I got the pattern! even worse after the quilt was washed! the back of the cupboard! could not languish there any longer! As they say, better finished than perfect! 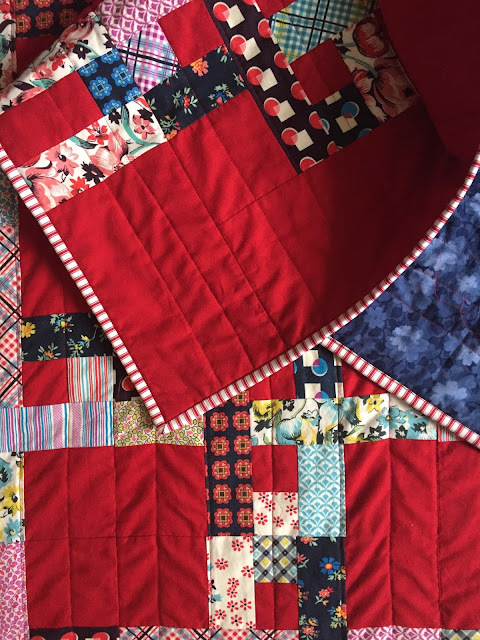 This looks amazing with the straight line quilting Susan, but now you have me worried as I have done quite a few quilts with the serpentine stitch that you originally quilted this with and I dont think that I have washed any of them as yet so I hope they are still ok! It looks fabulous, maybe because it has been pre-washed, you won't have anymore problems either. Good on you for redoing it and unpicking all that work. I think your quilt is beautiful, well done on getting it finished. wow what a beautiful finish . Such a wonderful finish, I love it! They say 'red is the new neutral' and it's just perfect with those DS fabrics. I've been wanting to try it out sometime as a background too, inspiring! A great pattern, and I love the red background!Ripping out quilting takes a lot of stamina. Glad it is finished. I can't imagine going back and unpicking a whole quilt and requilting it. 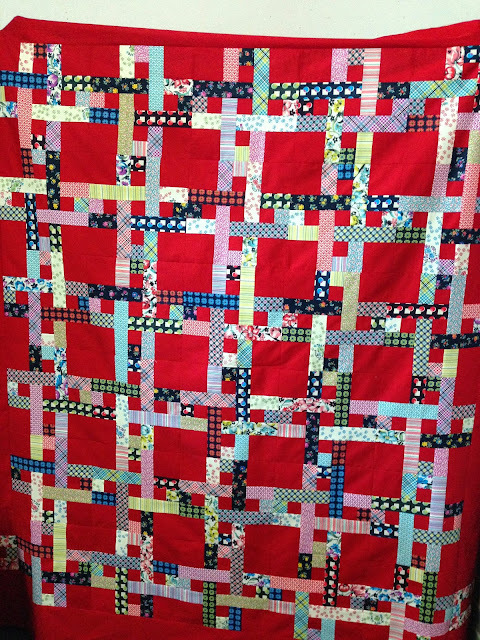 Good on you for facing it and getting this wonderful quilt finished... again! 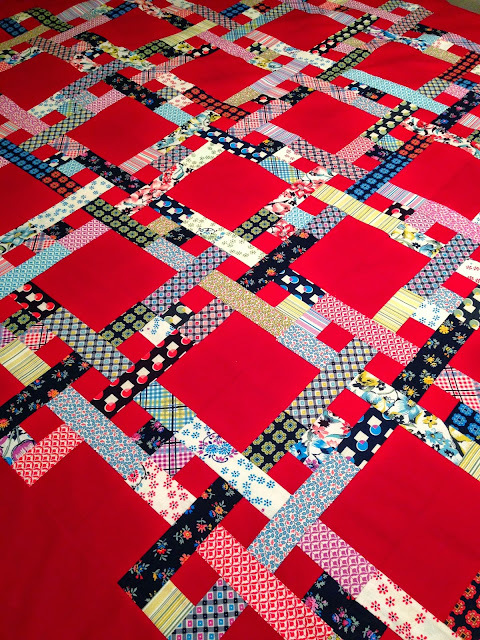 I LOVE this quilt with the red background and wonderful grid. Glad you got it out and renovated it. I am pretty sure this is the quilt that drew me into your blog; I pinned it and remember doing sort of a gasp when you said you were unhappy with the quilting. it turned out amazingly lovely and now I am wanting again to make one. I love the straight line quilting and the binding is perfect! I love it! Can't believe you unpicked all those stitches as I don't know if I'd have the determination to redo it. Good for you. It turned out great. I can see why it's been pinned so often. I've not been around for very long, so haven't seen this quilt before. And I agree with the others - it is pretty awesome. For me, one reason it stands out - Denyse Schmidt fabric! Starting out with great fabric and pairing it with the red background, who would of thought that combo would be so striking? Glad you pulled it out and fixed the quilting. I admire your determination and perserverance in all things quilty. To re-do a top, making it better, is such a great Susan thing to do--it looks fabulous! I DO remember this one and your dislike of it at one stage. It looks great now and I love the binding you chose. 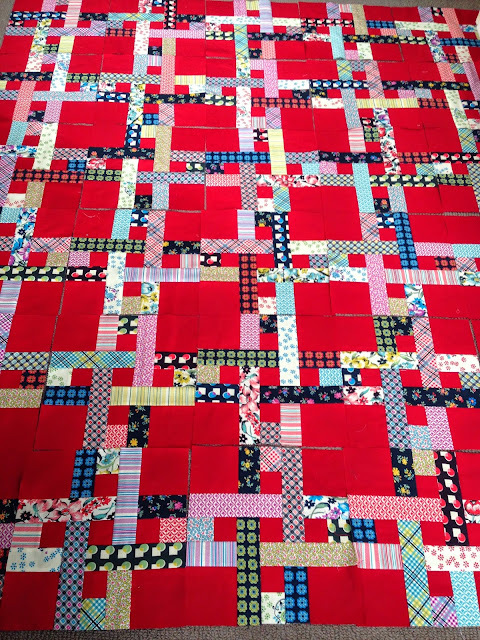 I can't imagine un-picking all that quilting but the results were worth it. I have been asked to make a gift for the women's conference speaker and the theme is inter-woven stories. This pattern might be a good place to start. I admire your persistence and stamina!! I think it is a great end result. I truly admire your tenacity and just love the finally-finished version! 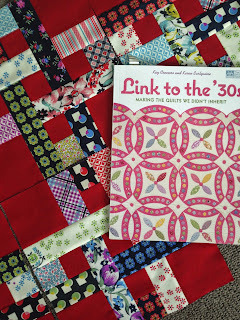 I've unpicked a line or two here or there of my quilting, but never a whole quilt!?! It's great to see that you didn't leave this is the unfinished pile forever. I love scrappy quilts, and this is just lovely. Congrats! Love it, Suz!! 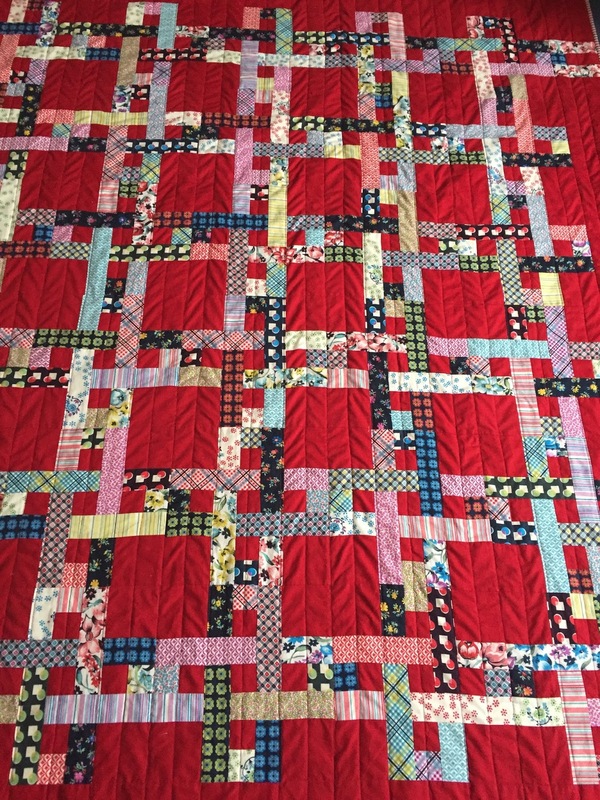 Such a gorgeous quilt - no wonder it's been pinned so much. And that binding is fab. I love this quilt. Why is it so popular on Pinterest? Maybe the red, or the scrappiness, or the way it looks like a Bay City Roller tartan on steroids (in a good way). I don't think I remember this quilt the first time around but it sure looks good a second time around.